Siri set to power Apple TV? | What Hi-Fi? Siri set to power Apple TV? 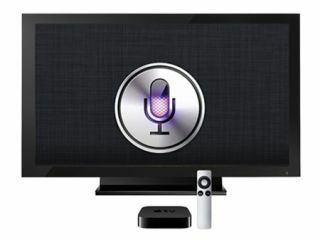 Our sister site Stuff.tv is reporting that Apple's long-awaited flatscreen TV – which is reportedly already at the prototype stage – will be powered by the iPhone 4S's virtual assistant Siri. The New York Times reports that Steve Jobs pondered several different options for Apple TV remotes, including a wireless keyboard, the iPhone and iPad. But his "I finally cracked it" moment was the realisation that Siri could be ported from the iPhone 4S to Apple's TV. Jobs hinted at the new user interface in his authorised biography released this week. In it, Jobs told author Walter Isaacson that he had "finally cracked" the secret to building an easy-to-use television set, and said it would have "the simplest user interface you could imagine". If it's true, you could be telling Siri to "play a cowboy movie" or "record next week's Doctor Who" in the not-too-distant future. Don't expect an Apple TV equipped with Siri too soon, though. Apple's been working on prototype TV sets since September, according to sources in the component manufacturing chain. But the NYT reports that Apple is waiting for the cost of large displays to fall before venturing into the TV market. "The company also needs to wait until the cost of large displays falls," says the NYT. "Although some 42in LCD televisions from mainstream consumer electronics companies can cost as little as $500, the Apple television would include computer electronics and other technology that may make the price uncompetitive." With an announcement expected in late 2012, it looks as if the Apple TV won't hit the high street until 2013.